Each coin is struck on an individual hand fed "proof-like" press, with each blank being pre-polished prior to being struck once. The coins are produced from cupro nickel. These 'proof-like' 50 pence pieces are a Limited Edition of 1,750. 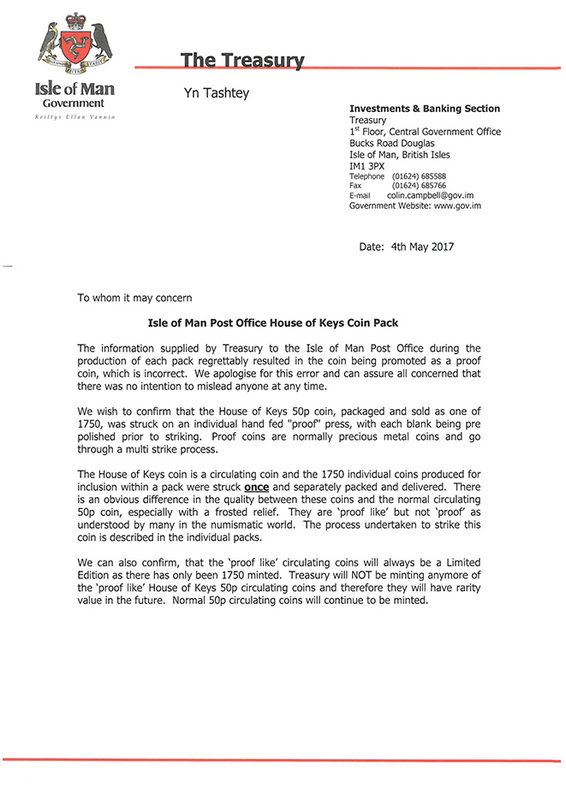 The coins are provided in the original numbered packaging and each purchase will include the correction letter from the Treasury. The letter can be seen in the images or can be viewed by clicking this link.